Arexim Garden is a manufacturer of panel track. 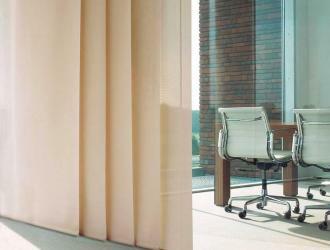 Panel track is suitable for large open plan urban living spaces, fully glazed openings and as stylish room dividers. There is an option for various and unique combinations of different colors and textiles - semi-transparent or black out polyester fabrics, natural fabrics woven paper (jute, cellulose, cotton), satin shine fabrics, Screen fabrics, acoustic fabrics. 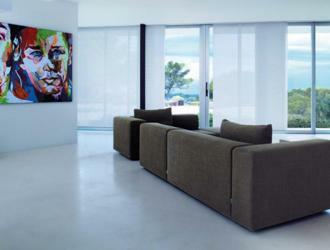 The blinds can be produced in variant with a motor and a remote control.